DESCRIPTIONHave you ever thought about helping U.S. Intelligence Community agencies implement innovative cloud computing solutions and solve technical problems? Would you like to do this using the latest cloud computing technologies? 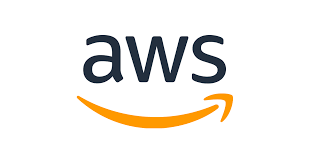 The AWS Intelligence Initiative Operations team is looking to hire highly motivated, best-in-class hands-on systems engineers. The Operations team drives stability and sustainability of next-generation tooling to discover innovative ways to automate and standardize our software deployment process. Systems engineers within our team are instrumental in creating, automating, deploying, operating and scaling a massive always-on distributed system. We are seeking passionate engineers with strong systems engineering skills who pro-actively automate away problems and constantly look to improve the quality of service. The ideal candidate will have thrived in operating complex systems, diagnosing and resolving the hardest corner case problems. You are fast on your feet and excited by the challenge of working in a hyper-growth environment where priorities shift quickly. In addition to your Linux systems skills, you will be very comfortable with networking & database technologies. You must be able to triage situations quickly and work equally well with internal engineers and external customers to bring about swift problem resolution in ways that persist and are reusable for multiple services. · Good scripting skills in one or more of Perl, Python, Ruby, Bash or Java. Ø This position requires that the candidate selected be a U.S. citizen and obtain and maintain an active TS/SCI security clearance with polygraph. Please contact AWS Recruiter, Dennis Ivanov ([email protected]) for more information.